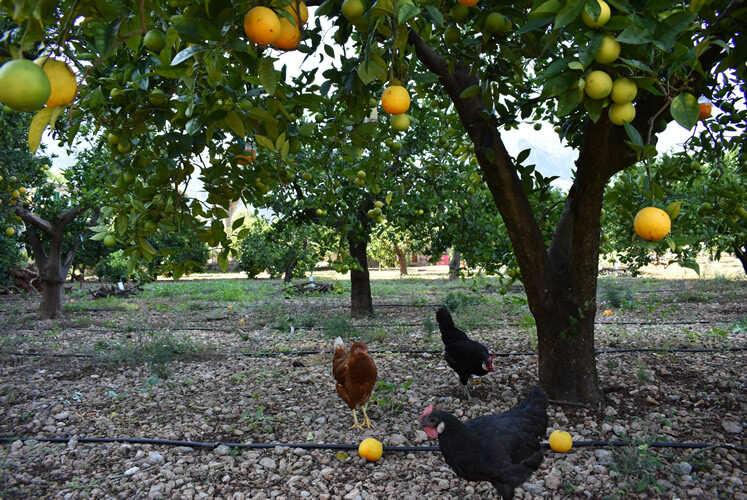 Enjoy this great experience: visit with your friends this splendid orange farm or small factories in the Valley of Sóller and let be enthralled by the work of organic farmers or the production of real artisanal jams. We organize tours for groups in the ecological Farm ECO-Vinyassa and the occupational workshop “Estel Nou”. 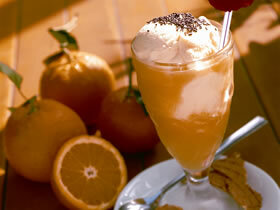 The tours can be combined and complemented with a sweet or salty break, in our ice cream factory "Sa Fàbrica de Gelats". 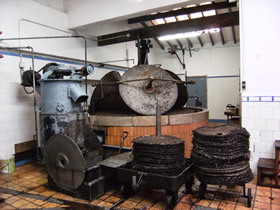 The ice cream factory is famous for the orange sorbet with mint or with chocolate crispy bits. For greater appetite and willingness to know mallorcan products, we offer product tastings: olive oil with spicy scents of orange or lemon, olives, vinegar, orange, orange liqueur, mallorcan sausage, citrus jams orange, syrup. ... We will work together to find the best option for your group. Eco Vinyassa has a truly wonderful location. Located near Sóller, close enough to be within walking distance, but far enough to be quiet, this eco-farm presents a unique place, surrounded by the mountains of the Serra de Tramuntana. Ecovinyassa has 18,000 m2 of fertile plantations. As background you can see the mountain called "Puig Major", the highest mountain in Majorca. Orange, pine and olive trees frame the picture. Nearby the main house there is a small well arranged garden with flowers. Here, the tour begins. The first stage of the visit is the weather station, it is here where for years the temperature of the Valley of Sóller has been controlled, paying attention to rainfall and wind speed. 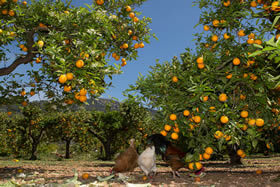 How and when the Orange tree came to Mallorca? What was eaten in the court of the kings of France? Where does the name Clementine come from? Can lemons and oranges grow on the same tree? Where does the water for oranges come from? ¿Why in Mallorca water is measured in minutes or hours? What is "Cul d'ou"? Do you get wax from olive pits? How are all biological fertilization works? How come soils have nitrogen? A way leads us through the trees, several signs about orange varieties are displayed with information and explanations in different languages. In addition the farm owner, Joan, will provide general explanations, he also has a fondness for anecdotes and curiosities. One of the first stops is in the "citrus tree", in which bitter oranges and tangerines with other orange varieties grown from the same tree. This tree has citrus cultivation of past generations, so it is like a living encyclopedia. The water supply is a key issue in Mallorca and especially for agriculture. It is described water sources and how to retain water. 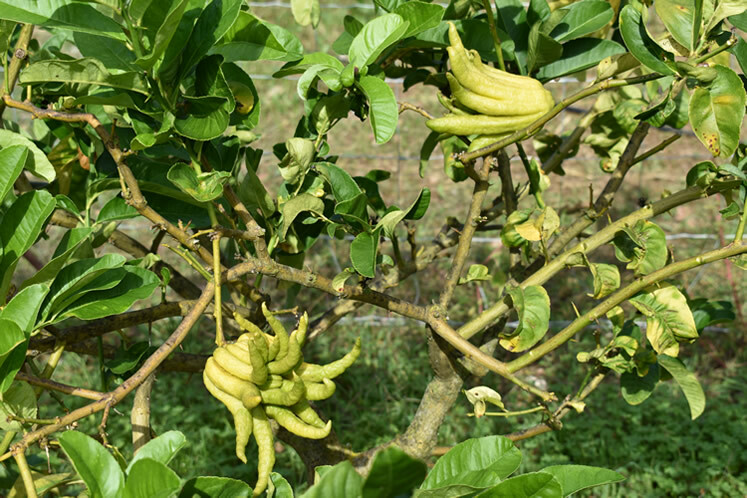 At the top of the property there is another representation of the citrus tree varieties, old varieties, some of which are almost forgotten and other curiosities like the "Hand of Buddha". Again, all explanations are interactive: you can touch, smell and taste. Of course, the owner also explains how is the organic farming, including tri-composting plant, planting beans to fertilize the soil ... - of course, everything described in several languages. The group meets again after the tour under a "lledoner" (hackberry) and enjoy the tree shade provided by this giant. Also about the history and use of these trees there are of course a brief explanation. It is time for a small Majorcan typical snack and a glass of organic orange juice freshly squeezed, ideal to relax and savor the unique atmosphere of the farm. You want to visit this orange grove? We prepare your tour. Contact us to arrange an appointment - we look forward to hearing from you! Do you want to see how and where are made our delicious jams and mermelades? Looking for Majorcan ceramics? 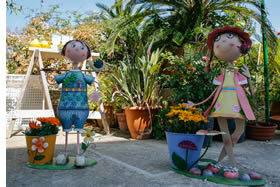 Then, visit with us the factory "Estel Nou" in Sóller! 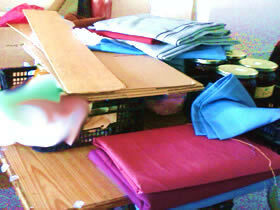 "Estel Nou" means New Star, it was founded over 30 years ago as a workshop for people with disabilities. The aim of our visit is to see; the pottery, the manufacture, labeling and sale of jams. 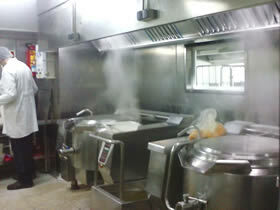 Of course, during the visit you can see the jam production process. 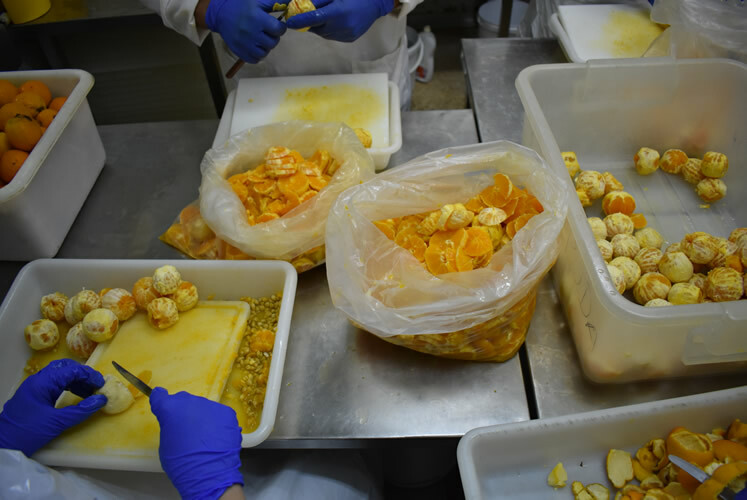 Explanations include all information about specifications to be followed and quality standards; the use of only fresh fruits and sugar, the use of traditional recipes, amount of sugar, sterilization. 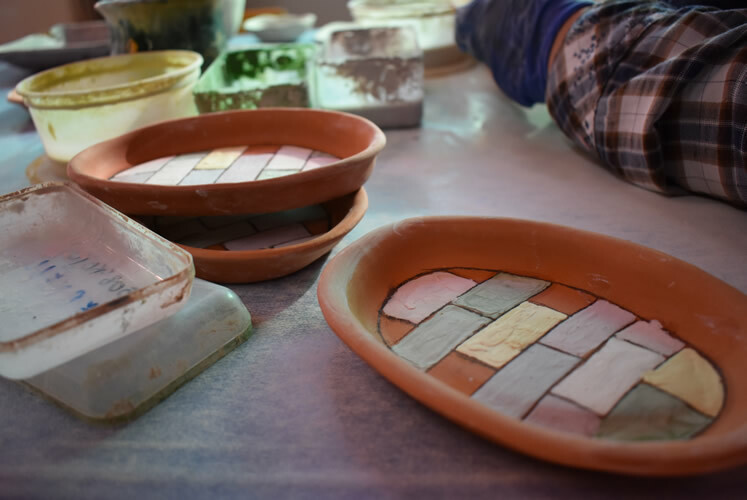 All pottery works are made by hand. 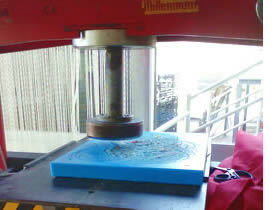 Different processing techniques are applied which will may be observed during the visit. 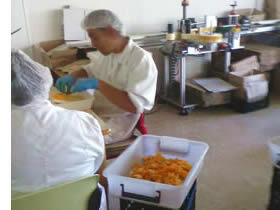 Everything done by hand, from cleaning to packaging. To paint different techniques are used; the "spray pattern" Estel Nou, with traditional motifs like fruits, and recovered the old ways and patterns that once decorated the roof of the Majorcan houses. The special thing about this visit is the atmosphere accompanying, there are no problems, just the satisfaction of a job well done. A visit to Estel Nou is informative and diverse. Interested? For groups of at least 8 persons sign up here!